1. Toss chicken with rub until thoroughly coated. Saute in olive oil until cooked through. Cool for at least 10 minutes. 2. 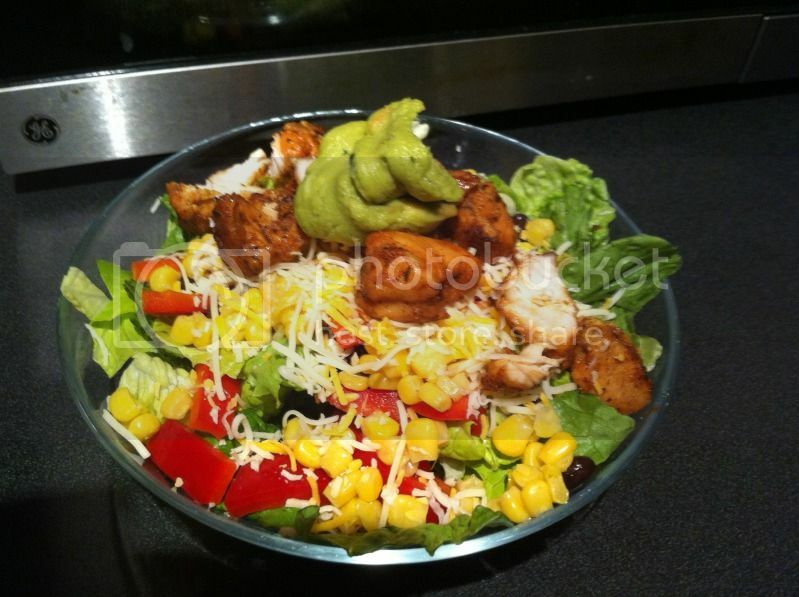 Layer lettuce, corn, black beans, bell pepper, chicken, cheese, and top with guacamole.